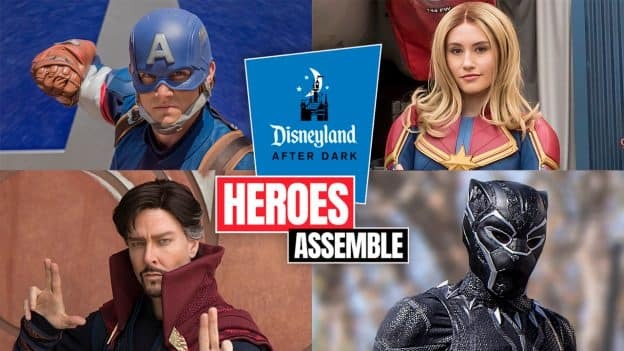 Disney announced a Disneyland After Dark: Heroes Assemble event back in February and has just released even more details about the after-hours event coming to Disney California Adventure on April 30th and May 1st from 9 p.m. to 1 a.m.
Photo opportunities – Step into immersive photo backdrops and flex those smiles. You’ll also receive unlimited digital downloads of Disney PhotoPass photos taken during the event. Super Hero sightings – See some of the most admired Super Heroes in the universe like Captain Marvel, Doctor Strange and Iron Man. Exclusive food – Savor a special menu of tasty, themed bites and sips. 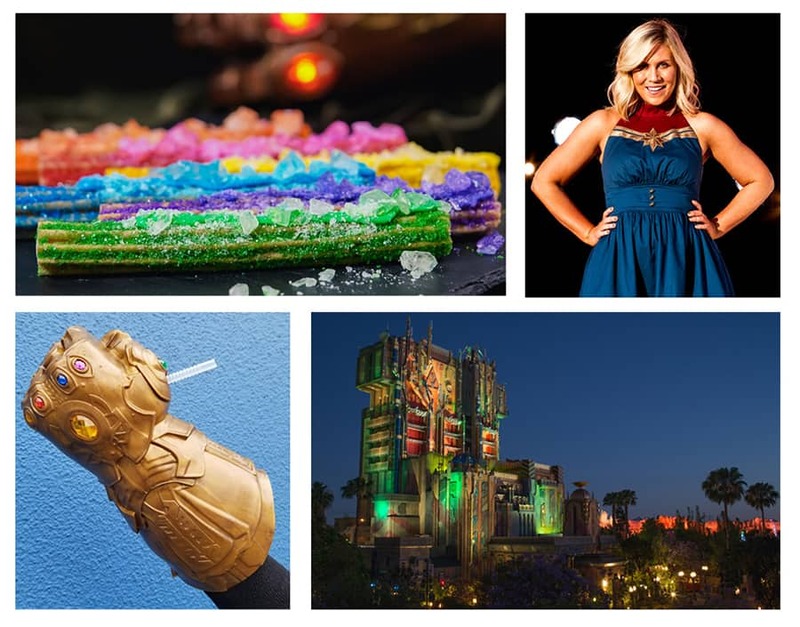 Scour the park for specialty items like hero-themed churros and the Infinity Gauntlet Sipper Cup, available for sale at the two events. Special entertainment – Rock out at the event’s dance party and enjoy heroic show moments. Meet and greet with actress and author Ashley Eckstein. Participate in a park-wide scavenger hunt, searching for hidden artifacts and solving the puzzle to help save mankind! After-hour access to attractions – Ride popular attractions in Disney California Adventure park with less time waiting in line, including Guardians of the Galaxy – Mission: BREAKOUT! You’ll also have mix-in access to the park starting at 6 p.m.
Cosplay opportunities – Dust off your shields, hammers and suits of armor and come dressed in your Super Hero-best attire. Tickets are available for $109 per person on Disneyland.com. Parking fees are not included in the ticket price.